So nice to start the year with some fresh and light-hearted work - for Valentines Day and beyond. I’ve been experimenting with using my own painted papers along with magazine pages to design some small colorful pieces. This year’s studio tour is the weekend of November 10-11th. Susan Trask and I will be showing out of her brand new studio located at Earth, Wind and Fleece. We’re Stop #2 on the tour, and looking forward to sharing our latest work with you! Go to our the CHAT Facebook page or website to see all the info. It's been awhile. I've been on a bit of a break when it comes to making new art. But, thanks to some travel to new places, art classes and new friends, I have some great ideas, so stay tuned! First up is the Catoctin Holiday Art Tour. It's a two day studio tour featuring great local artists -- so much to see! Start (or finish) your holiday shopping, get inspired, and enjoy the vistas of scenic Loudoun County. Visit us on Facebook too. I'll be at Earth Wind and Fleece again this year. Check out our display from last year below. Join me at MPAartfest in McLean! Always a great show, join me in the park in McLean tomorrow, Sunday, Oct 2nd, for food, music, and art! This dimensional mixed media painting, Seaside Dream, is recognized this month in the Light, Space & Time on-line art gallery competition, in the 3D category. Check it out in person on Sunday in McLean. The Western Loudoun Artists Studio Tour (WLAST) is this weekend, June 18-19. Debbie and Scott Williamson at Butterfly Bend Pottery, Stop #4, in Lovettsville, will be my hosts for the weekend. I'll have many of my recent mixed media pieces, as well as some hand-bound journals and a few other surprises. Please view my WLAST profile here -- and I hope to see you there! Love to see you at the Sea and Sky Exhibit Reception on Saturday, May 14th, 5 pm! I’m working like crazy on new pieces for shows this spring and summer. I have some fresh found object boxes, mostly with a sea and beach theme for the May Featured Artist show at Arts in the Village Gallery. Also, straight-off-the-easel collaged background image transfers and acrylic abstracts. Lots of texture and new color combos. Check out the schedule below — hope to see you soon! Sea & Sky, Featured Artist Exhibit at Arts in the Village Gallery with Anne Jordan’s copper work. Leesburg, May 1-31. Artists’ Reception, Sat 5/14, 5-8 pm. aMuse Art Fair, Winchester, Sat 5/21, 11 am-6 pm. Collaborative booth with fiber artist Susan Trask of Earth, Wind and Fleece. Western Loudoun Artist Studio Tour (WLAST), Loudoun County, Sat-Sun, 6/18-19. I will be with Debbie & Scott Williamson at their pottery studio, Butterfly Bend Pottery in Lovettsville. I'm pleased to announce that I've joined the Art A La Carte Gallery, located in the historic district of Occoquan, Virginia. 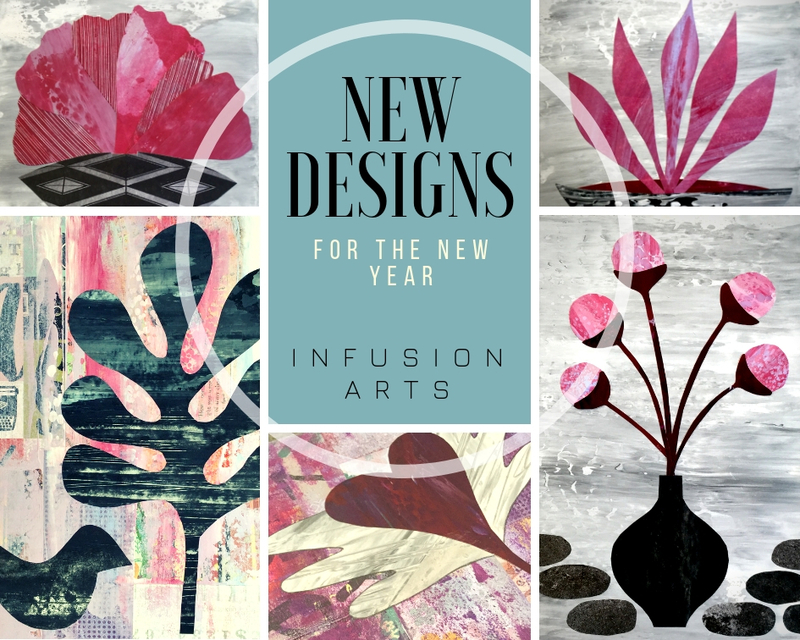 Susan Trask of Earth Wind and Fleece and Infusion Arts are intermingling wall space for an exciting collaboration of mixed media acrylic canvases and hand-felted alpaca scarves. Please join me at the Reception for Illuminate, this Saturday, 10/17 at Arts in the Village Gallery near Leesburg, from 5-8 p.m. We have lots of excitement planned -- snacks, music and more. So excited to be participating again this year in the McLean Project for the Arts Artfest, located in McLean's central park on Sunday, October 4th. I'm working on some new pieces, and there are so many wonderful artists -- hope you'll come out to experience this great event! The MPA is hosting a Scavanger Hunt in September, where participating artists' work will be hung in sponsors' venues around the area. Keep a watch for my Cityscape II -- I don't know where it's going to be yet, but I'm delivering it to MPA tomorrow! I've been selected to participate in the Mini-Solos Exhibit at the Touchstone Gallery in Washington, D.C. in August. The show will open with a reception at 6 pm on Friday, August 7th, and run thru Thursday, August 27th. Check out the Abstracts Exhibit in June on the Light Space & Time Gallery. My piece "Abstract Earth" was selected in the Special Merit Category. 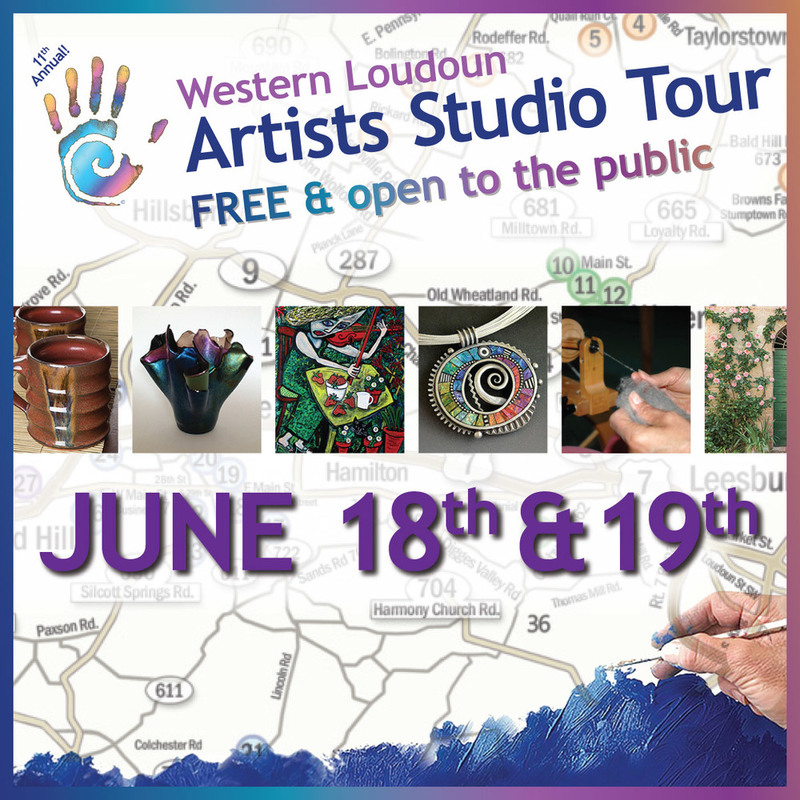 Western Loudoun Artists Studio Tour in June! Join me and over 60 local Loudoun County artists during the WLAST studio tour June 21 and 22. I'll be at the photography studio of Mary Louise Ravese in Waterford. Please see the WLAST website and Facebook page to find the map and all the relevant details to plan your route! Click here for my page on the WLAST website! Oh, and this is the 10th anniversary of the tour. To celebrate, artists decorated these hands which are located at various businesses and studios around Loudoun. Keep a look out! "Carried Away" is in the Light Space & Time Gallery exhibit this month. Check it out in the Special Merit Award category! My work, including CityScape II shown below, is included in the latest show of the Loudoun Arts Council's artWorks program installed at the Old Ox Brewery in Ashburn, Virginia. Check out the Old Ox's great post about it below! Just in case you missed my article, "Mementos" in the September issue of Northern Virginia's elan Magazine, click below to view and/or download! It's been a great and really busy summer. I'm hard at work on some new ideas and new pieces for fall shows. Stop by the Village at Leesburg on Saturday, 8/23, for the Artful August show, including yours truly at Painting the Music, and the Featured Artist Reception for August at Arts in the Village Gallery. Wow, a day full of art! My show at Arts in the Village Gallery in Leesburg runs through the end of May, and includes new work with a water-related theme. We had a great time at the reception on May 17th, but it's not too late to come in to check it out.